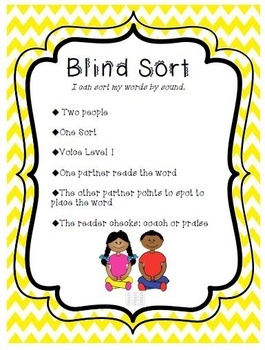 If your students use word sorts in the classroom, this poster pack will help them learn the directions and expectations of activities they can do while you meet with groups. 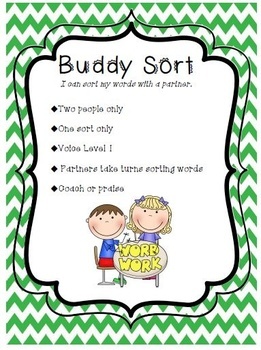 It goes well with the Words Their Way program. My students are much more focused when visuals are posted, simple, and reviewed often. 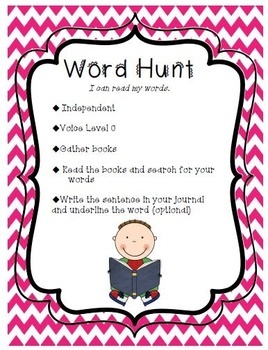 These help my word study segment of each day be successful. 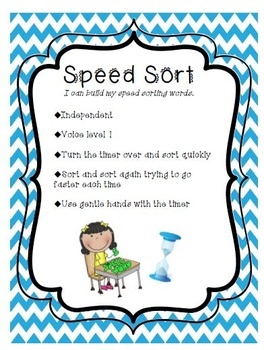 They could also be used by students during the Word Work component of Daily 5.